To add to your outfit array. Please sign up by leaving a comment. Let me know you are out there today! Just a cheery hi! or hey! But I enjoy your comments along the way! 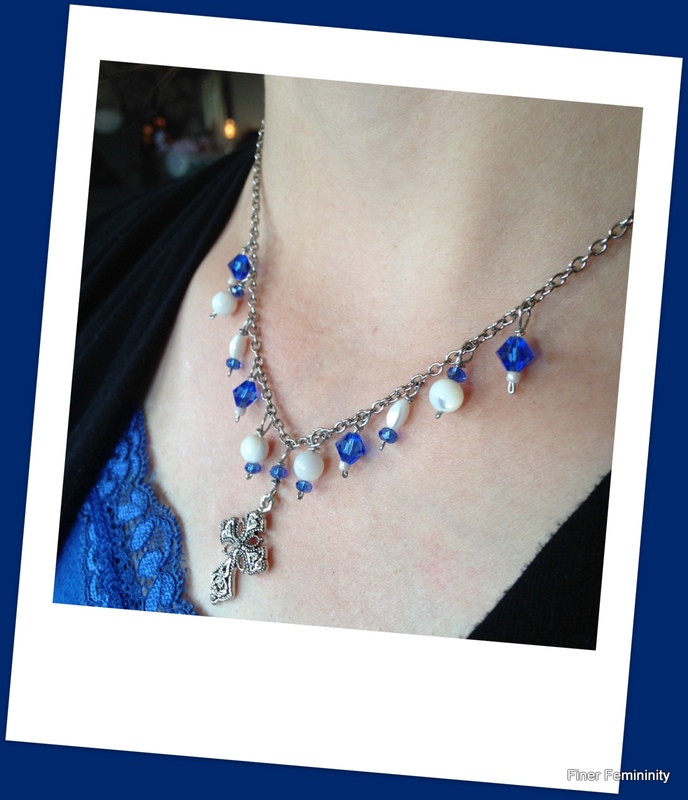 I think you will really like this lovely mother-of-pearl necklace set! 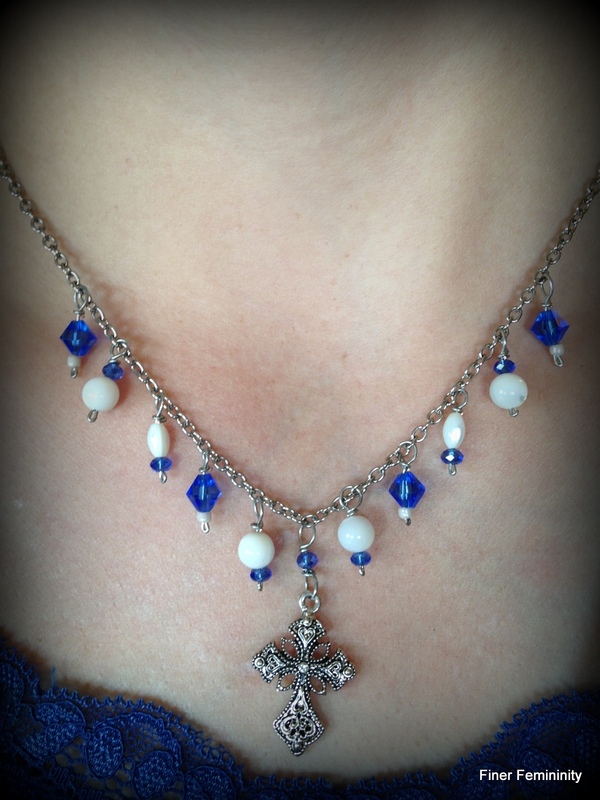 It is accented with swarovski bicone midnight blue beads! The sweet cross that drapes in the middle is daintily ornate. The earrings are made to match the necklace. We will draw the winner on May 10th! Take a browse at my Etsy Shop, Meadows of Grace. Like Meadows of Grace on Facebook! Good Morning! Have a wonderful day. I really love your pretty jewelery! I have 2 sets and they are what I wear the most. Soooooo beautiful!!!!! I love the crucifix. So lovely! You really do such beautiful work. Sign me up! Your jewelry is so pretty. Just got home from volunteering. I hope everyone is enjoying their weekend, on this beautiful weekend in the spring. Very pretty. Thank you for having these give-a-ways. So beautiful Leane!!! You are so sweet and generous. God bless you. Your give-a-ways are becoming more and more popular! Thank you for them, and thank you for all the lives you have touched by your inspiring words, example, and digging out all the beautiful gems of Catholic beauty you seem to find everywhere. The journey is long and hard, but you do your best to make it easier for everyone. Thank you, thank you, thank you!!!! Thank you for your kind words, Renee. God bless you!! Happy feast of St. Monica! 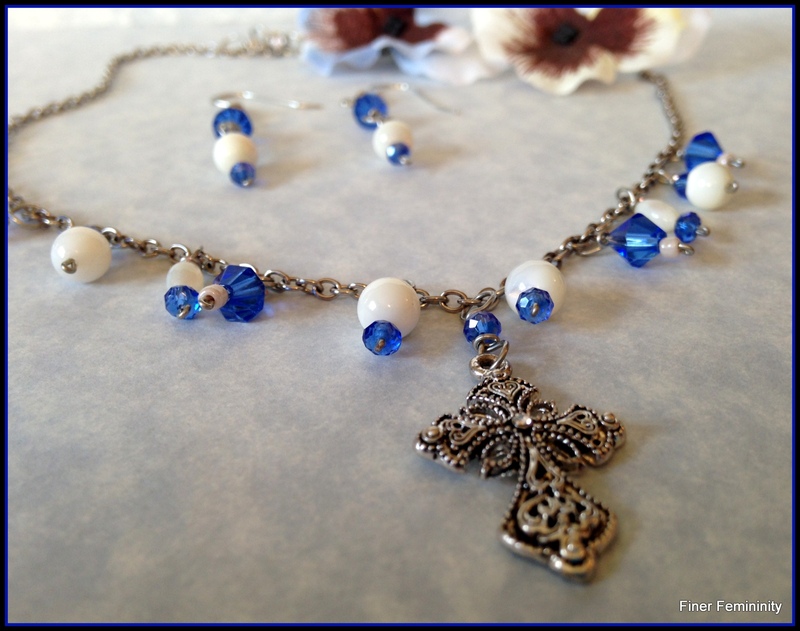 The colors chosen, for this beautiful necklace, are perfect for this month of May, the month of Most Holy Blessed Virgin Mary. You truly do beautiful work. I hope to one day soon purchase something from your impressive collection. ¡Viva Cristo Rey! 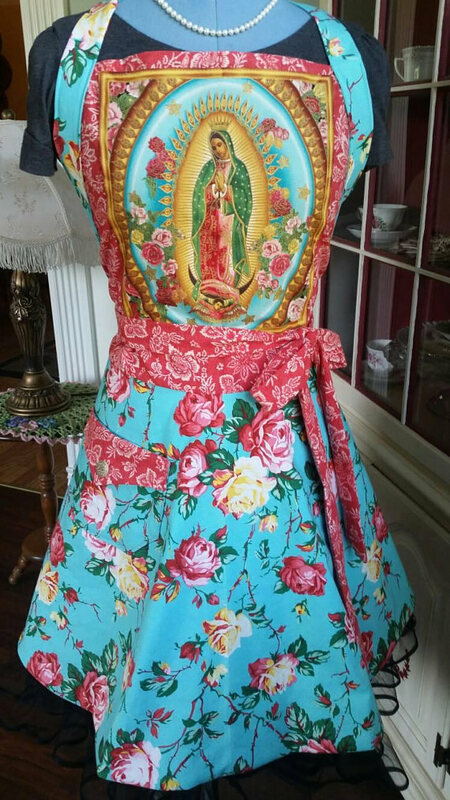 This is absolutely beautiful, and so “Marian”, too. Thank you for sharing! God bless. I am really enjoying getting to know your blog! 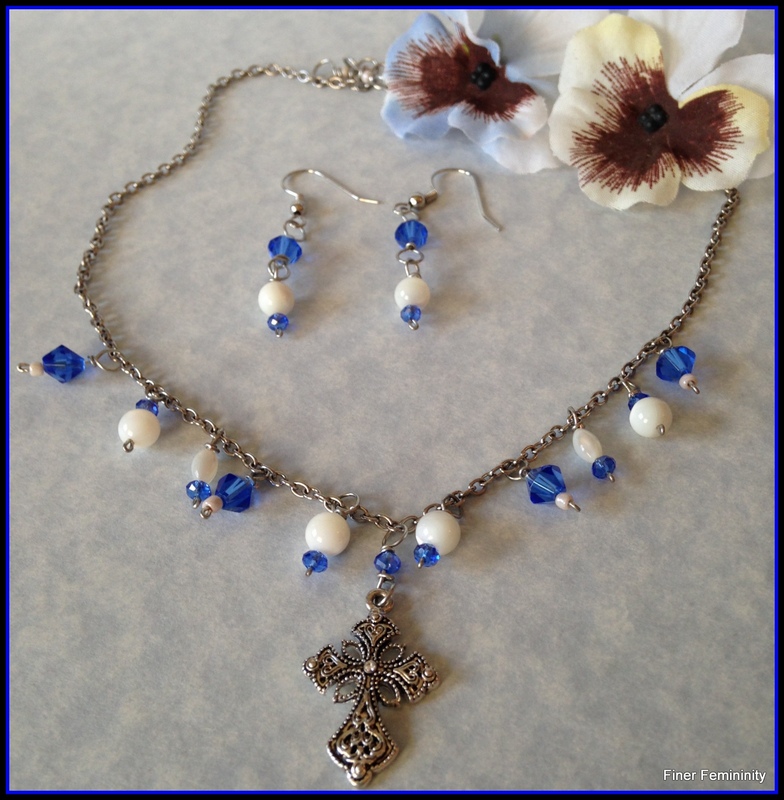 your jewelry and rosaries are so very lovely. I do enjoy your blog very much. Very beautiful, we really enjoy your posts, thank you! Oh! pretty, pretty, pretty:) Love it!!! I like it!!! You are awesome!!! I love you!!! That’s a super pretty set!